A “Saudi Spring?”: The Shi‘a Protest Movement in the Eastern Province 2011–2012 The Middle East Journal 66, No. 4, (Autumn 2012), 628-659. 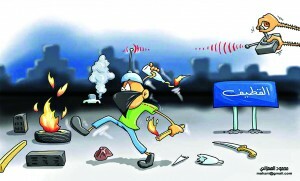 Caricature, the street sign reads”al-Qatif,” al-Yaum, Saudi Arabia, November 26, 2011. 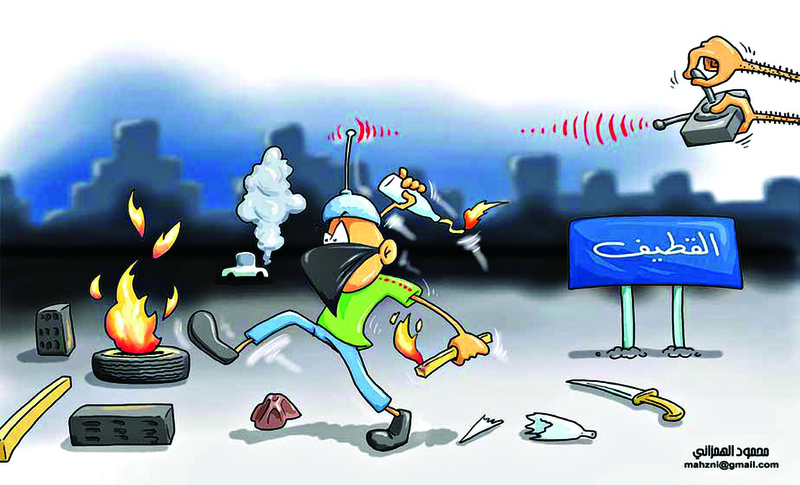 Since 2011, Saudi Arabia experienced the largest and longest protest movement in its modern history. This article outlines how small protests inspired by the socalled “Arab Spring” and in solidarity with the uprising in neighboring Bahrain developed into a sustained youth protest movement with its own particular demands and frames of references. 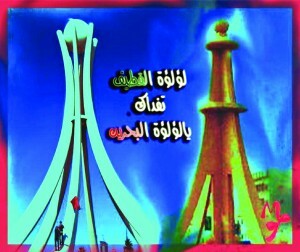 At the local level, the article shows how the emergence of this protest movement affected the political and social dynamics within the Saudi Shi’a community. The government reacted with repression and an anti-Shi’a sectarian rhetoric that ensured that the “Saudi Spring” in the Eastern Province failed to spill over to the rest of the country. The case study of the Eastern Province protest movement in 2011 and 2012 shows that, while new media are good organizational tools for protesters, personal networks, a semi-autonomous public sphere, and histories of political subversion facilitate a protest movement. “The Pearl of Qatif sacrifices itself for you oh Pearl of Bahrain,” picture posted on the Facebook site of the Youth Force in Qatif [al-quwwa al-shababiyya fi al-Qatif], September 19, 2011.